Cooking Channel is a round-the-clock cable channel that broadcasts programs about food and cooking. It started airing in May of 2010 and is now available to over 61 million households in the United States. 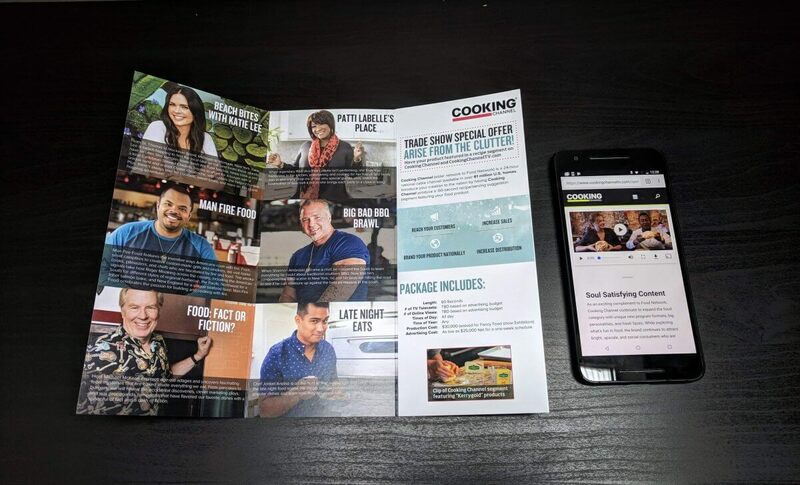 Cooking Channel is using bigDAWGS’ NFC Brochures to announce their Trade Show Special Offer. 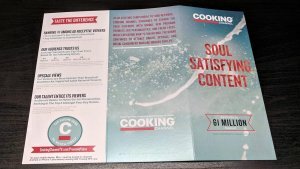 This package includes a 60-second feature on their recipe segment, playing all day at any time of the year. Simply tap your mobile device on the NFC Logo and Cooking Channel’s Special Offer website page will automatically open on your phone. Visit bigdawgspromo.com to see more of our unique NFC products!